Snapper fishing in Tampa Bay is a market cornered by Mangrove Snapper. Tampa Bay Snapper fishing is set apart in the fact that most of these Mangrove Snapper will be in the slot size and can actually be fairly large. An awesome species for the dinner table, targeting Snapper here should be on any anglers list while spending the day on the water. The best part is that while Snapper fishing you are just as likely to hook up with a Grouper. Being found in channels spread throughout Tampa Bay, larger Mangrove Snapper will be more likely during Fall time fishing. This is when schools of larger fish will be plowing through the area. 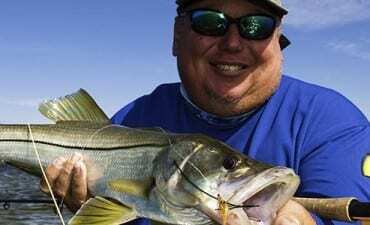 Regardless of the time of year an angler can target these by following some simple methodologies. Baits to be considered include both live ad cut bait, but artificial can be used to hook up with these guys as well. Also, a shrimp tipped jig will see some great action and will often allow for a mix of both Snapper and Grouper while fishing these types of areas. Channel edges, mangrove pockets with a current, and deeper water structure will all hold Snapper year around. Jumping to depths of 40 feet or more will see an increase in hookups as this is where this species finds a comfort zone in structure. But pulling back into the Tampa area flats will also provide a productive Snapper fishery. Again looking for pockets in the grass or just off the edge of a flat. Also, sometimes small mangrove islands that have a good current whipping around them will have a pocket side. In this pocket, it is even possible to just look in and see schools of smaller Snapper on standby waiting for your presentation.